This month, Farrow and Ball are encouraging all of us to think more creatively about decorating and adding colour to our homes through their Find It, Paint It, Love It campaign. 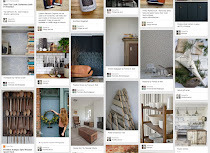 Farrow and Ball say that we tend to focus on the walls, often leaving the trim and furniture as an afterthought. When it comes to interiors, it pays to get creative with paint. By custom-painting furniture pieces, or introducing colour to your interior trim (such as skirting boards, banisters, door frames or dado rails) you can inject personality and interest to your decor. At Relics of Witney, we've long been fans of helping our customers pick out paint colours to bring out the best in their homes. We think this means allowing homes to reflect their owners passions and personalities: what you truly love, not just having a magazine-beautiful space to tiptoe about in. Two people who have this gift in spades of injecting personality into any space are Lee and Kate, owners of Old Made. 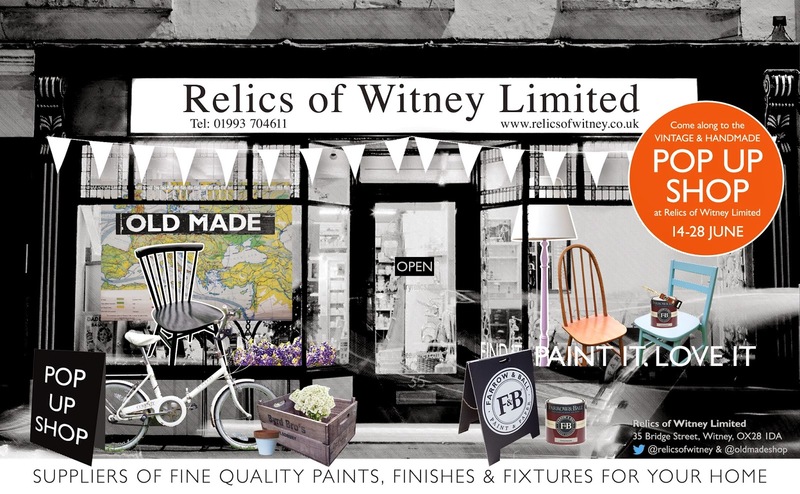 We're very excited at Relics to be hosting them at what we believe is Witney's first ever pop-up shop. They sell an exquisitely curated collection of artsy, fifties-inspired pieces. Yet, let us be clear: this is no run-of-the-mill vintage shop. Old Made has a unique take on interiors that is hugely influenced by Lee and Kate's combined background in graphic design and textiles, with a definite nod to Modern Rustic and light touch of Industrial style. Think 'Last Tango In Paris' and eclectic apartment living, think jazz record covers by Reid Miles and Picasso's atelier, and you'll be half way there to understanding just what it is that makes Old Made so special. Old Made love to work with local design/makers, such as these lovely cushions by Mabel and Bird who are based in chipping Norton. Lee and Kate adore illustration, fabrics, maps and colour. They cite Farrow and Ball Cinder Rose and Blue Ground as some their favourite paints, as well as the monochrome hues of Lamp Black by Little Greene and White by Earthborn Claypaints. Lee and Kate's blend of experience, as well as their obvious talent, combines to create a look that is different from anything we've seen before. Find Old Made on their website, Twitter and Pinterest, and, for one more week at Witney's first pop-up shop in Relics! Then, in the near future, they'll be over at Love Your Plane in Oxford. Make sure you come and visit.